We always keep our domain prices low for members. Secure your brand today! Everything you need to take care of all your domains is right at your fingertips. Contact management, domain redirection, domain privacy and more. 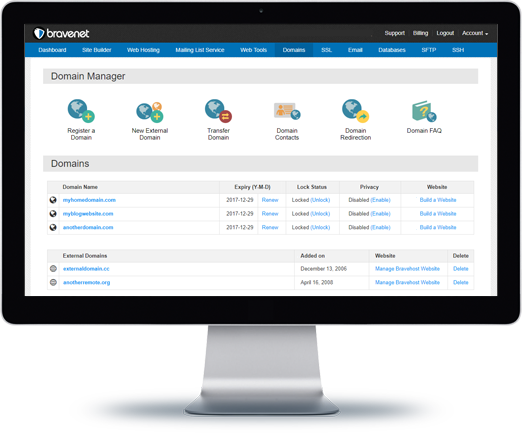 Bravenet provides full WHOIS Privacy. 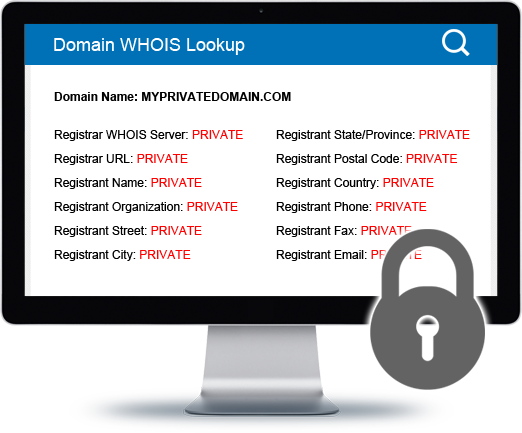 Domain privacy or WHOIS protection hides your personal information from the public WHOIS database. WHOIS is the organization that manages all data regarding domain registration. 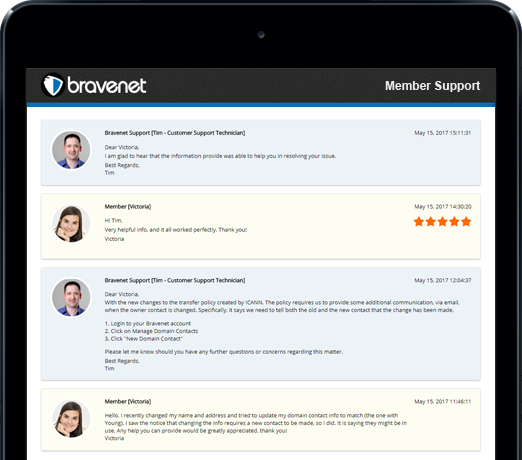 Bravenet's knowledgeable team is happy to help you at anytime. Please contact us if you have any questions related to domain, hosting, email, or anything! there is anything you need. Don't Delay... Get Your Domain Today! Grab a domain, add a website and create email accounts. All right here at Bravenet.